Photo: Entrance to Paraje Natural de Sierra Bermeja. Eastern Mojave Vegetation Entrance to Paraje Natural de Sierra Bermeja. We arrived at Paraje Natural de Los Reales de Sierra Bermeja (Natural Area of Royal Peak of the Brown Mountains) during the end of a passing storm. This entrance is right at the Puerto de Peñas Blancas. 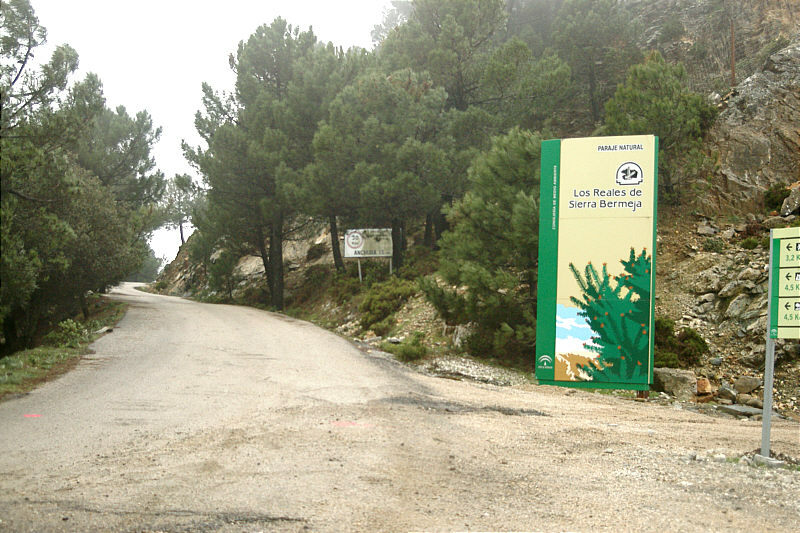 Signs point to a refuge ("refugio") located 4.5 km up the small paved forest road.